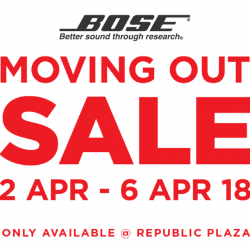 Bose is moving out of Republic Plaza due to major renovation works. Their last day of operations will be on 6 April 2018. They are having a moving out sale with clearance discounts on display and end-of-life products! So head down and grab some good quality audio products! 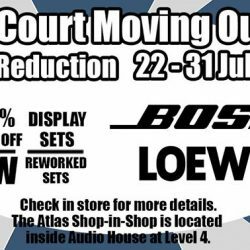 We will be having a Liang Court Moving Out Sale from 22nd July to 31st July. 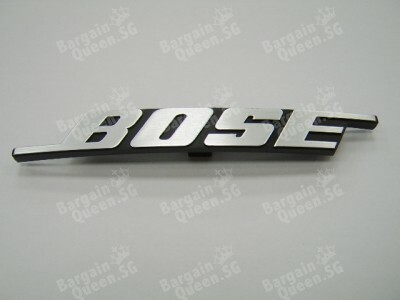 Enjoy incredible savings of up to 60% off on Bose and Loewe products! 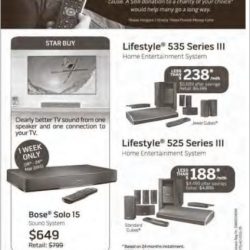 You will find anything from TV's to Stereo home theatre systems, Wifi speakers, Bluetooth speakers, noise-cancellation headphones, Wave music systems and many more! Only while stocks last. So come by and visit us to grab the best deals ever! 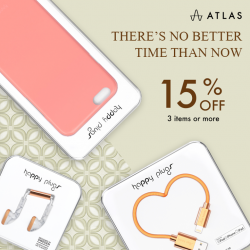 Enjoy 15% off when you buy 3 or more Happy Plugs products. Expressing yourself has never been easier. Own a piece of style here. Get paid to upgrade at Bose: Save up to $500 when you trade in any of your Home Entertainment System or Trade up for a good cause. A $88 donation to a charity of your choice would help many go a long way.